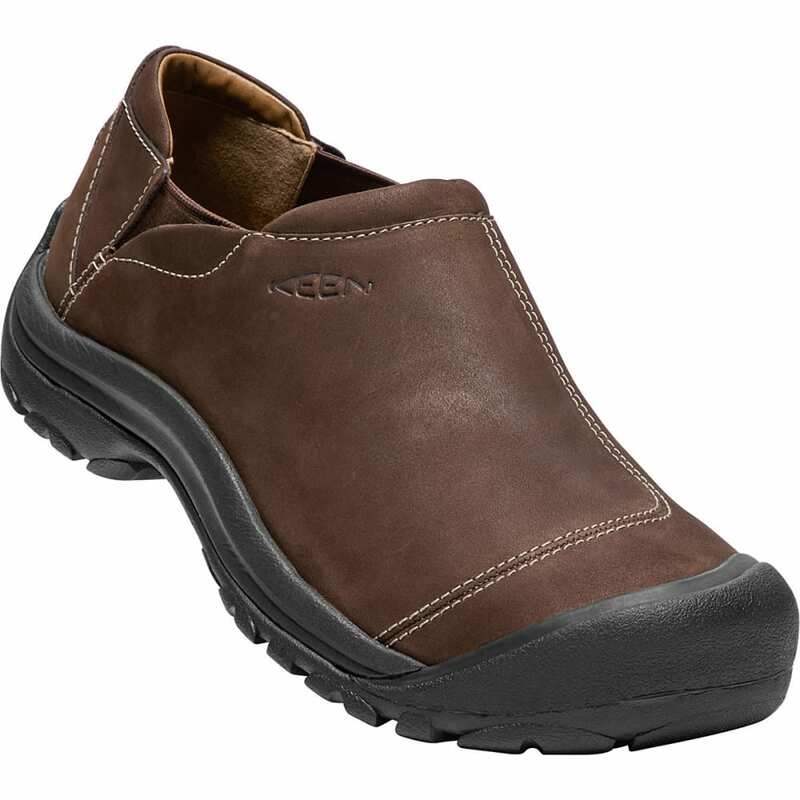 Exceed common expectations in the Ashland slip-on from Keen. 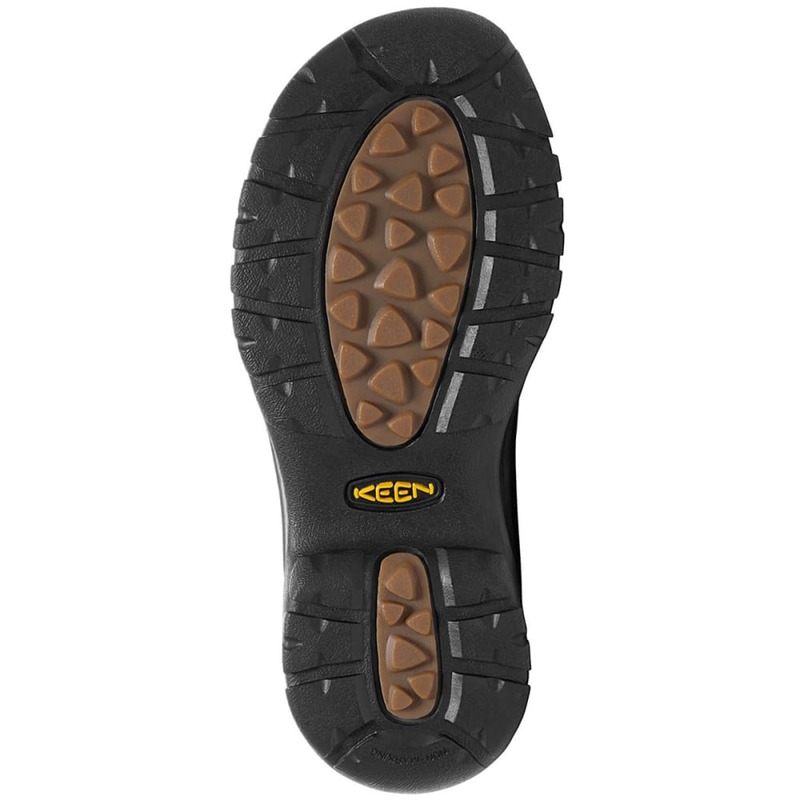 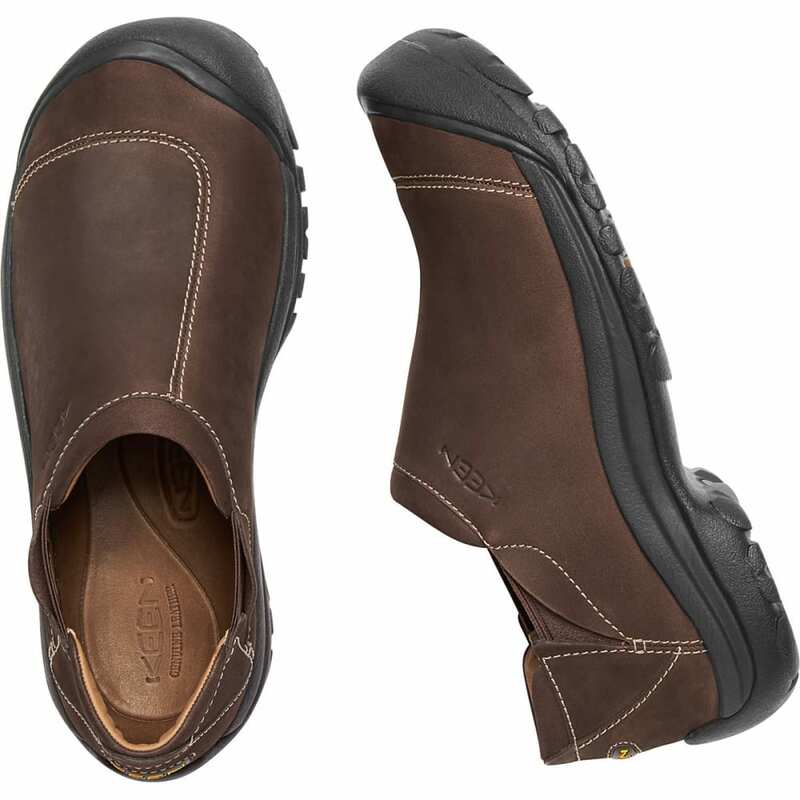 Water-resistant leather endures puddles with ease, while the stretch gore allows for easy on and off. 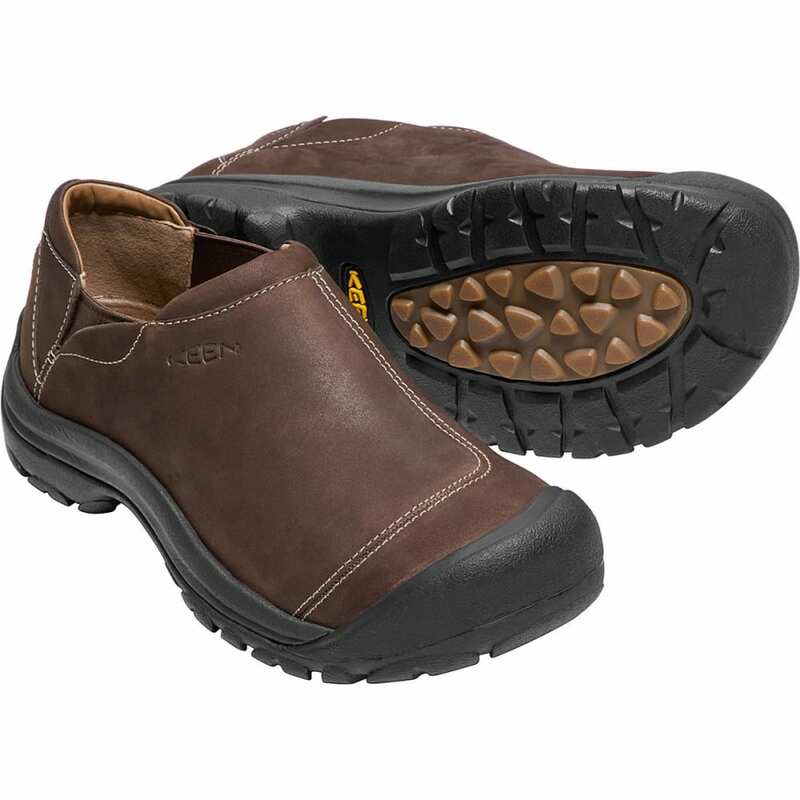 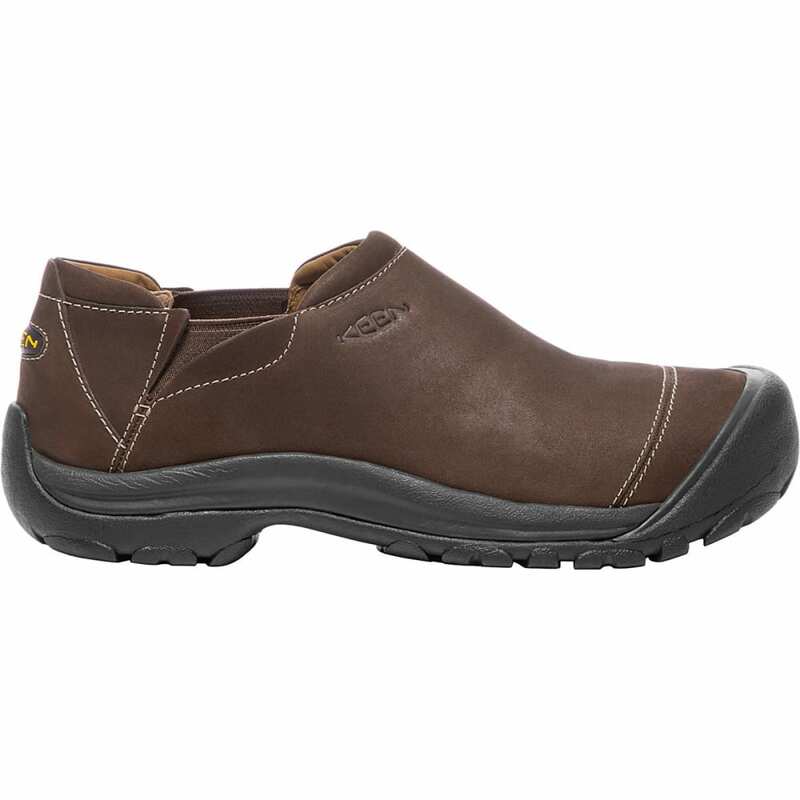 Their metatomical last shape also provides broken-in comfort right out of the box.